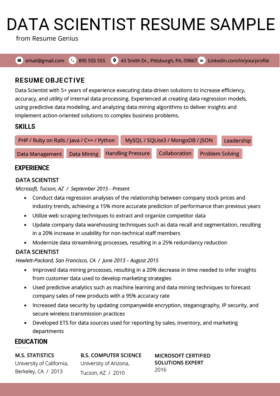 Create your perfect Data Entry Clerk resume by downloading our free sample below and following our expert writing tips to customize your own. Interested in saving time? 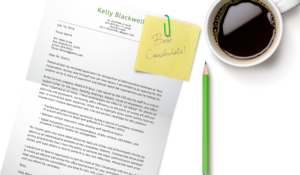 Use our professional resume builder! 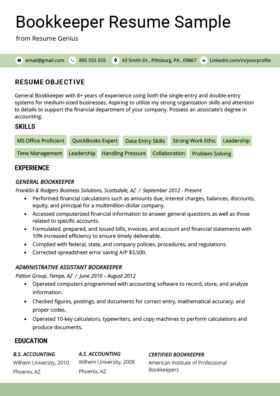 Information Processor with 6 years of experience in a high-pressure and fast paced professional environment. Independently motivated team player aiming to boost department efficiency by utilizing my strong ability to successfully complete projects well within their deadlines. These are typically positions that have a low barrier to entry, but a certain amount of basic computer skill is usually a mandatory requirement. That is because one of the main roles of a data entry clerk is to move information from paper documents into digital databases. So, if you are looking into entering the world of data entry, make sure your comfortable with keyboard. The average annual salary is around for a basic data entry keyer is $30,000, with word processors and information processors banking closer to $33,000. It’s great knowing what type of salary you can expect, but don’t include previous salaries or salary expectations on your resume. 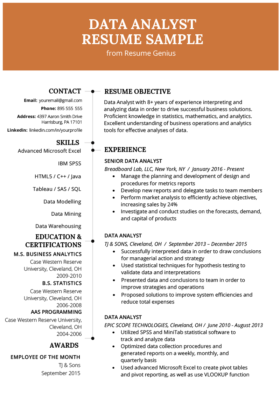 Here are a few pointers for preparing your resume for a data entry position. Before even getting into the details, our applicant Ryan Adams helped his chances with receiving callbacks for interviews by using the title information processor instead of data entry clerk. The reason for that is an information processor can handle all of the tasks of an entry-level data entry clerk and more, but not vice-versa. That opens up a lot of doors because many companies are looking for more than someone to simply move information from one platform to another. They are looking for speed, efficiency, and excellent collaboration skills. A data entry clerk is a conduit through which company information flows. Every single business with an open position wants to fill it with a person who can keep that information flowing smoothly and steadily. They are looking for speed, efficiency, and excellent collaboration skills. By highlighting the fact that you can work both alone and with others, and that you are very reliable in terms of accuracy and efficiency, you show an HR manager that are exactly the type of person they need. On top of that, the very last clause refers to the fact our job seeker is a pro when it comes to finishing projects on time, specifically mentioning the word deadline. This shows that he can work under pressure and won’t become a bottleneck for the company’s information flow. All businesses want to know what you can do for them. The best way to show them is with cold hard numbers. All businesses want to know what you can do for them. The best way to show them is with cold hard numbers. For some positions, like accountants and sales professionals, this is a simple task. For others like data entry, sometimes it isn’t quite as clear on what you can focus on. Because this type of work usually doesn’t require an advanced education, and many people in the industry don’t have one, you don’t need to start things out with an education section. Instead, it will be easier to quantify your ability by referencing your previous work experience with a “Professional Experience” section. In the above resume sample, Ryan started out mentioning some of his key daily activities, but then moved on to specific exactly how much work those daily activities entail. He did so in three ways. Improved and consolidated spreadsheets, increasing efficiency and saving the company $22,000 annually in labor costs. Any time that you save an employer money, you want to document that on your resume. It proves your value to the business, and it justifies your salary. Oversee 2 junior clerks’ daily input to ensure accuracy, maintaining a 99% error free record. While this bullet point is attractive on its own as it shows leadership qualities, when paired with the next bullet point it helps employers get a better idea of the scale of information that the applicant works with. By attaching an actual number to the amount of accounts he is working with shows just how efficient and organized he is as well as the amount of information that he is comfortable handling. Matching duties with quantifiable numbers shows exactly what you have done in the past and what you can do for a potential employer. Specific numbers also make hiring managers feel a lot more comfortable with offering you a position, because they prefer to deal in factual numbers as opposed to hypothetical ones. For more help with using action verbs and hard details, check out our tips on writing an achievement oriented resume. As previously mentioned, this is a job that requires a lot of time in front of a computer. Make sure to name each and every relevant piece of software you have experience with and are comfortable with using on the daily basis. 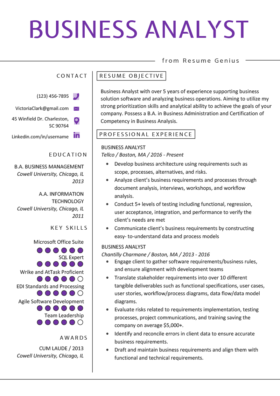 Proficient in Microsoft Word, Excel, Outlook, and Access. This is also a good place for further quantification of your skill set. Not all data entry and information processing positions will list a required typing speed, but many do. Citing your WPM, or words per minute, is another great way to show a company that you’re a solid investment and worth bringing onto their team. This was an excellent source of information. Thank you.